So last night’s Spooktober viewing was NIGHT OF THE WEREWOLF, a 1981 Spanish film whose original title was El Retorno Del Hombre-Lobo. 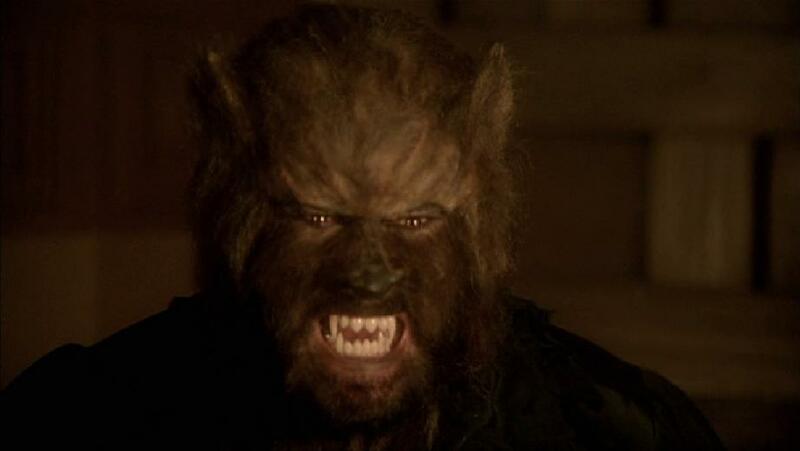 It’s one of Paul Naschy’s twelve-film series about the werewolf Waldemar Daninsky. It’s only a “series” in the strictest sense — they’re largely unrelated films, all of which feature a 16th century Polish nobleman who’s been cursed to be an immortal werewolf. Each film pretty much stands alone, and this one, in fact, is a higher-budget remake of one of his earlier stories, 1970’s La Noche De Walpurgis (Walpurgis Night, known in the US as The Werewolf vs The Vampire Woman, in which Daninsky combats the vampiric Elisabeth Bathory, who has returned from the beyond the grave to something something. Gotta be real: NOT a good movie. There’s something about bad dubbing and Cinemax Bewbs that just makes even the most earnest attempt nearly unwatchable. But, it was a fun bit of horror-adventure-pulp, and really wasn’t trying to be more than that.